In 1882 Reading Football Club moved to its first fully enclosed ground located at Coley Park. The company Coley Kilns (comprising of Brick, Tile and Pottery Works) was originally located where the Coley Park Recreation Ground is today. The deep red terracotta bricks and tiles were produced mainly for the local Reading area. It closed in 1880 and the area was leveled to make way for the new recreation ground. The ground is located between Holybrook Road and St.Saviour's Road. The first game on the new ground for Reading ended in a defeat of 4-0 to Marlow. 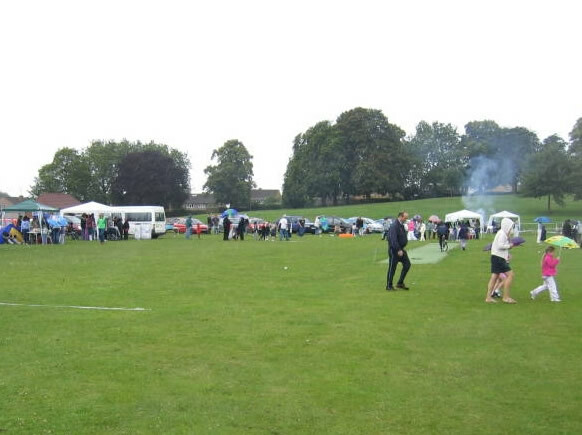 Many subsequent matches attracted large crowds and with this brought general rowdiness. But of more concern to the owners of the ground was the continual damage to the surrounding hedges by the 'hooligan element' trying to get into the ground, which is surprising seeing that admission to the games were free! (It seems some things never change!). By the end of the 1888/89 season, the owner of the Coley Park grounds refused the RFC to stay any longer. 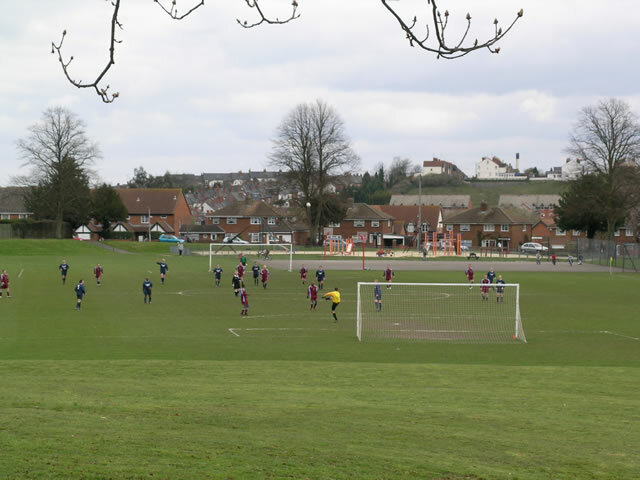 Reading FC moved on to the Caversham Cricket Ground and then in 1896 settled into a permanent home ground at Elm Park. 102 years later, in 1998, they moved into their current home at Madejski Stadium. By 1937, another war with Germany had been long anticipated, so the Reading Corporation (Counci)l prepared and published its Air Raid Precautions Scheme, which described the voluntary organisations of men and women which would be needed to keep watch over Reading and deal with any emergencies. By the time WW2 broke out in 1939, Reading's Civil Defence was well organised. About 40 public air raid shelters had been prepared in the town centre and trenches had been dug at Coley Park and in Palmer Park. The three air raid shelters at Coley Park were sealed after the war and remained buried in the park into the 1960's, but have since been removed (or buried?). Two were located just at the rear of the old brick storage building at the foot of the hill. 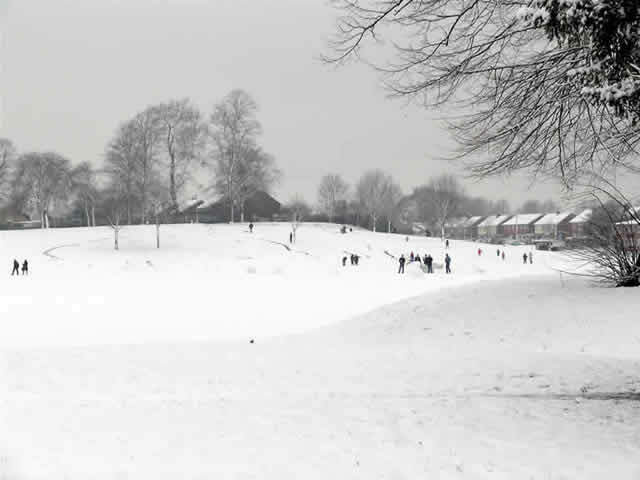 The other was near Holybrook Road at the west end of the park, adjacent to the base of the walkway that winds itself up the hill (to where the wooden grandstand used to be located .. photo anyone?). The park was popular with the local residents and many made the trek to the park on a weekend. Many homes around older Coley had little or no back gardens, so it was an excellent place for familes to picnic while the children let off steam. Coley Primary School located on Wolseley Street, used the park as their local sporting ground. The small changing rooms and toilets being very old and very cold (thankfully since demolished) were not the idle place to get changed. Mainly cricket and soccer were played in season by the local teams but other games like Rounders were popular with the younger kids. 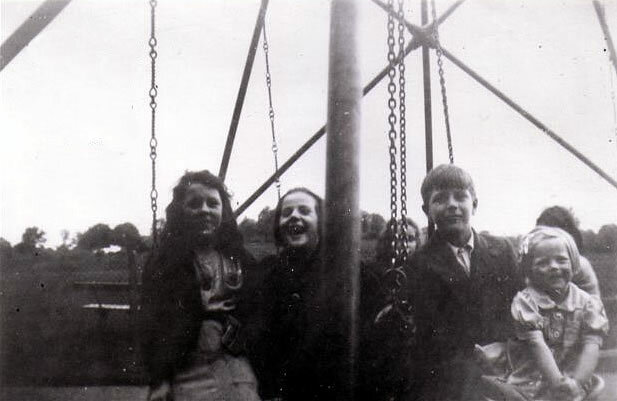 In the 1930's a children's playground was constructed. The ground area was bitumen, and a 3 foot (1m) high fence surrounded the playground, with a gate at the north end. Nearby was a drink fountain that was always in demand (and very often not working). The playground had two slides - the largest being about 12 foot (3.5m) high and had an enclosed platform at the top. There were two merry-go-rounds (one for standing only and the other you could sit on), two swings, a climbing frame and a long rocking horse-type contraption where you could sit at least six! Today the playground has been totally revamped to be in line with today's safety standards. The bitumen has been replaced with a sand base, and the equipment is not so hazardous. to toboggan down the fast snow-covered slopes. 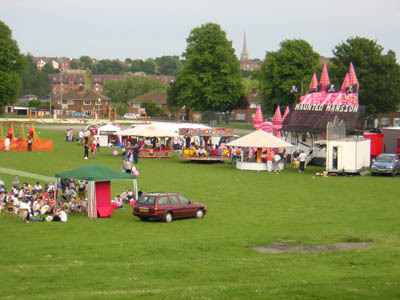 In recent years church groups and others have been holding various successful 'fun' days in the park. These have been a huge hit with both children and parents! The bonfire and fireworks night in November organised by the Coley Community Centre has been a popular event.